If you are like us and are trying to pack light when you're traveling, you can't bring all of your skincare products with you. We know you want to look your best but also not lug around 10 different skincare products. We've been there. So today we are talking about the only 3 things that you'll need to keep your skin clean, moisturized, and fresh even when you're traveling. 1. 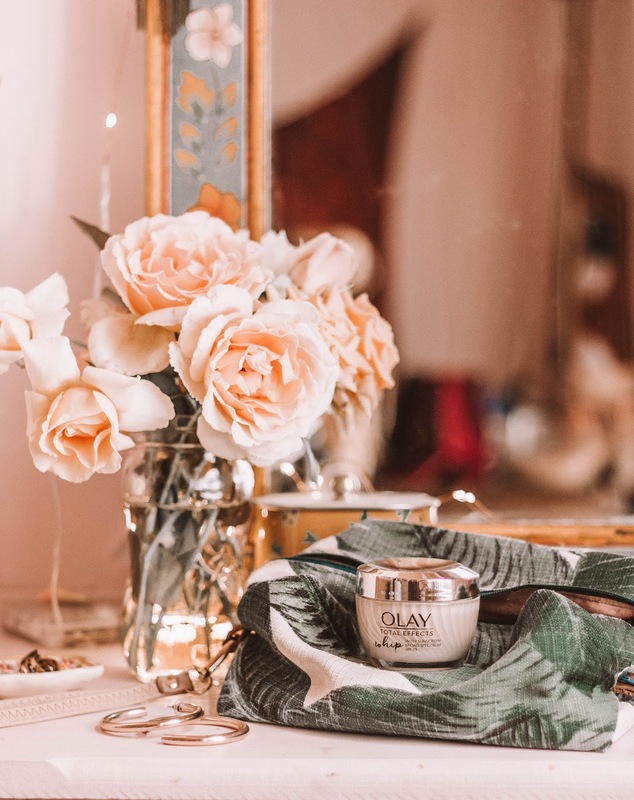 Moisturizer w/SPF / We love Olay Total Effect Whip with SPF 25 because it's is a primer, moisturizer, and has an SPF of 25. This is the perfect product to use at home and when you travel. You have 3 products in 1 and whether you are traveling or your busy at home, this is exactly what you're looking for. What we love about this product besides the fact that it's so multi-purpose is the way it goes on your skin. This moisturizer has the best texture and it instantly absorbs into the skin- which is awesome because you don't have to wait for it to dry before applying your makeup. You definitely need it in your everyday skincare routine and it's the perfect product for travel. 2. Face wipes / So yes you should wash your face with a cleanser and wash cloth every day, but when traveling, face wipes will do the job. If I'm honest, a lot of nights my face just gets the face wipe treatment even when I'm at home. And when I'm traveling, they are definitely all I'm using. These are great to have for lots of reasons when traveling- wiping your hands, cleaning up spills, getting the stain out of your shirt. I'm not saying there is any face wipe out there that claims it can do all of these things. I've just personally used them for all reasons listed above. And when you are tired at the end of the day, you'll be glad all you have to do is wipe your face with 1 (or 2) of these guys. 3. Water / This is inexpensive and readily available and you don't even have to pack it. Hydration is key to healthy skin and you need it even more if you are traveling on a plane. For whatever reason, I don't drink as much water when I'm traveling and my skin + body pay the price. Don't do this! Either pack a reusable water bottle or get one when you arrive and keep it with you 24/7. It'll be easier to stay hydrated if the water is already with you. So yes you can buy the travel sizes of all your favorite skin care products or you can just bring these 2 essentials and drink a lot of water. Your suitcase will thank me. 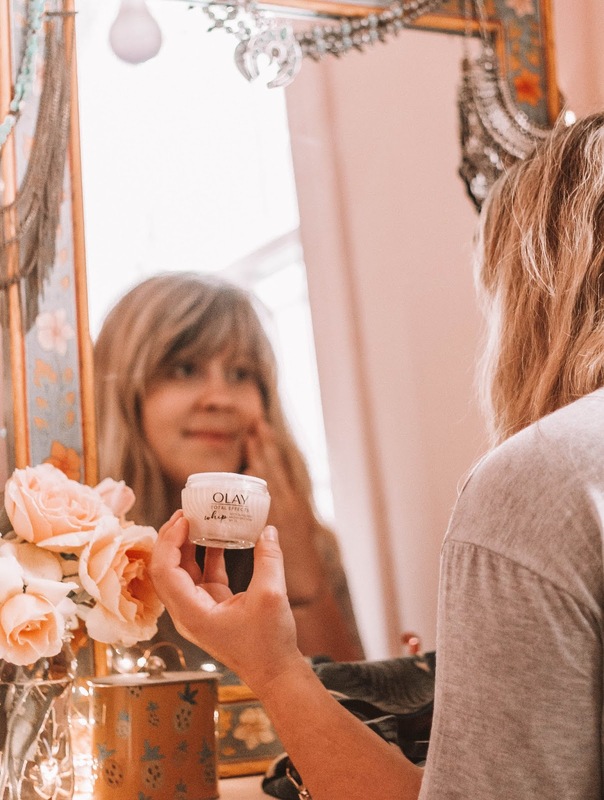 At the very least, so do yourself a favor and treat yourself by purchasing Olay Total Effect Whip with SPF at Walmart. 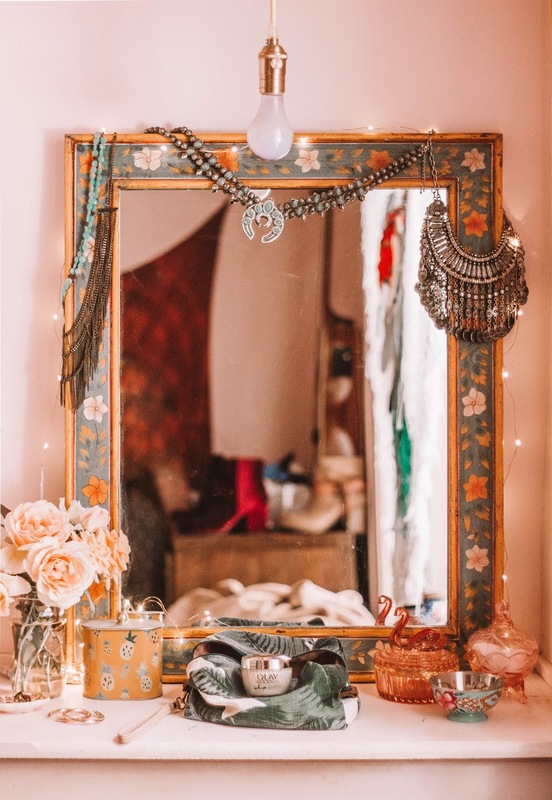 What other essentials do you love to travel with?